Don't worry. No one will notice if we only takes a little! Quick! Before Santa gets here! 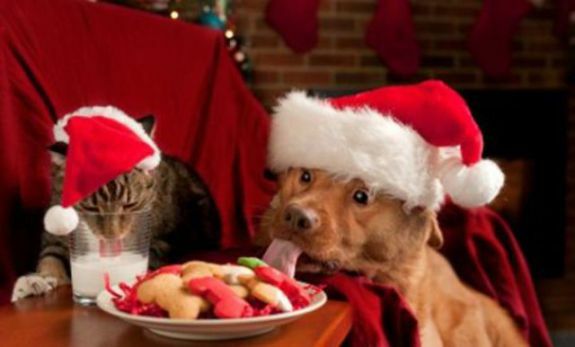 Do you think that Santa would minds a little dog spit on the cookies?